Just married! 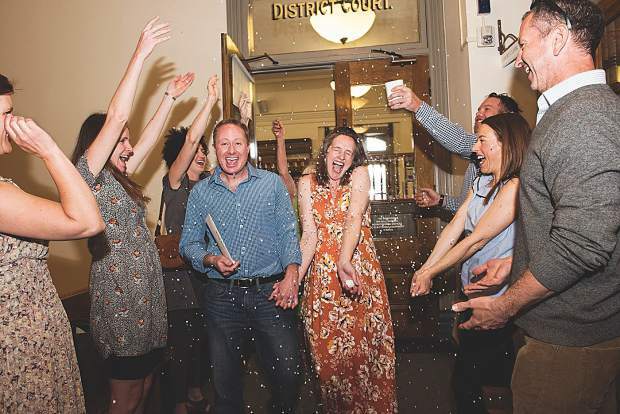 John Miller and Renee Prince get showered with rice after their Pitkin County Courthouse wedding on Friday, May 11. 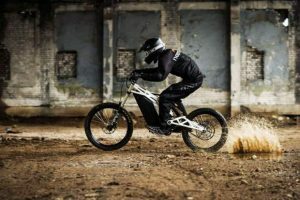 MarySue Bonetti photo. 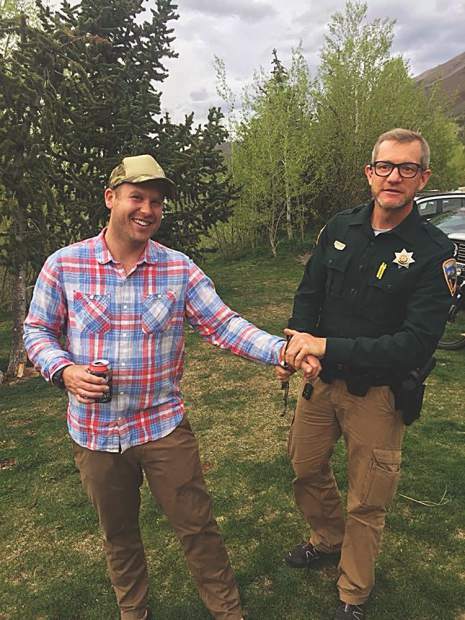 Jesse Bouchard "gets arrested" by Pitkin County Deputy Anthony Todaro for questionable behavior at his birthday party in the park. 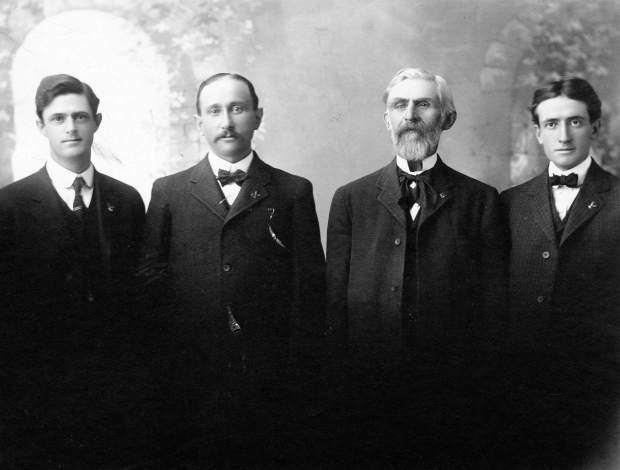 Charlie Tarver photo. Joe Watson, Art Burrows and Kim Edwards at Jesse Bouchard's birthday picnic in the park. Perfect picnic weather in the parks last weekend. 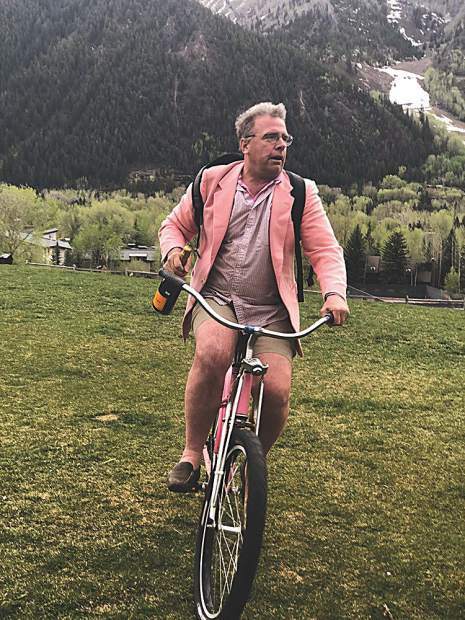 Pretty in pink: Charlie Tarver arrives by bike for Jesse Bouchard's birthday party in the park. 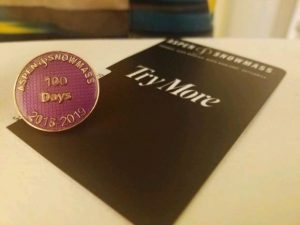 Kim Edwards photo. 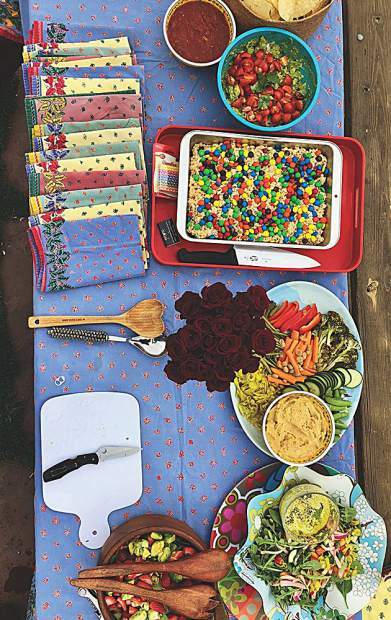 A spring picnic spread for Jesse Bouchard's birthday. 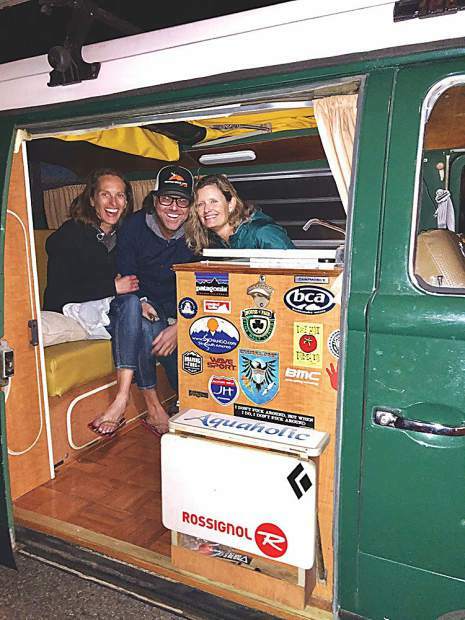 Ellen Spitzbart, Tripp Freeman and Sarah Manning in Tripp's hip bus. 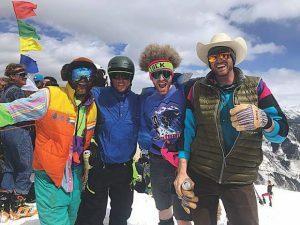 Springtime in Aspen signals a quieter time of year, which is oftentimes a great way to recharge amid beautiful weather as tulips, poppies, crabapple trees and lilac bushes come alive and town runs at a more relaxed pace. Over the weekend, a couple of festivities of note included a courthouse wedding and a birthday picnic in a park. 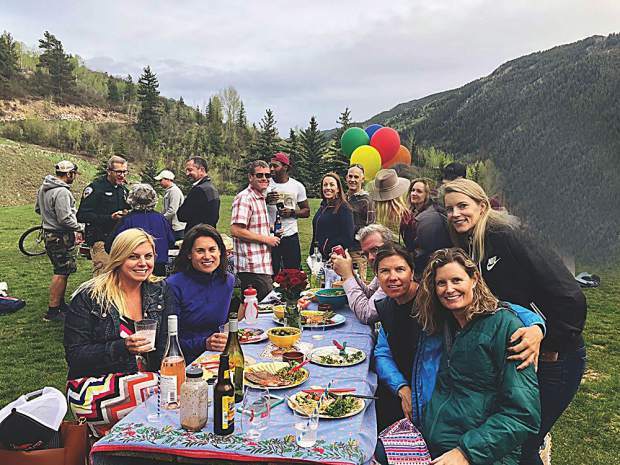 On Friday, May 11, Aspen dentist John Miller married Renee Prince at Pitkin County Courthouse with a handful of friends there to wish them well, throw rice and celebrate an exciting chapter ahead. John and Renee just moved to Basalt, are expecting a baby in June and plans are underway for a family ceremony in September in Woody Creek. 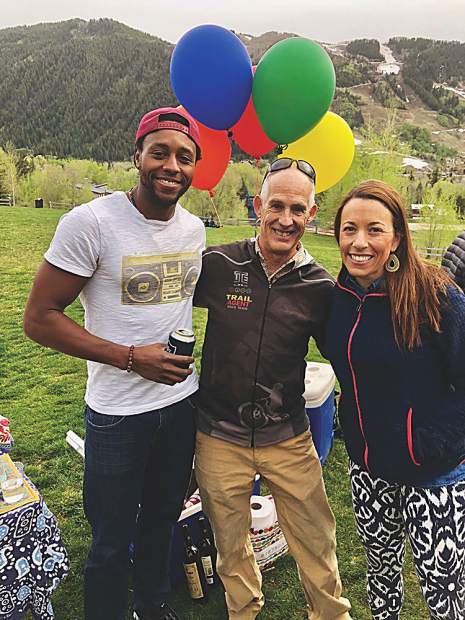 On Friday evening, Jesse Bouchard celebrated his 34th birthday with a party in the park arranged by fiancée Kim Edwards and friends. Guests enjoyed delicious dishes, lawn games, birthday cake and wishing Jesse a fabulous year ahead as he plans his wedding.